If this is your question regarding athletic shoes, the answer is found quite simply in what you do to stay active. Here’s a simple quiz; which sentiment reflects your attitude? If you chose letters A or B, walking shoes are your best bet. This type of athletic shoe should be light in weight, provide support, and absorb the impact of each step. The heels of walking shoes are designed to give you the best functionality for the heel to toe movement of this type of exercise. For letter C, though, look for a good pair of running shoes. Fit and your unique arch type are factors to consider for both styles of athletic shoes. Remember that your feet move inside of your shoes, so allow room by purchasing up to a half size larger than normal. Try on shoes toward the end of the day and bring your favorite athletic socks with you. It’s not unusual for one foot to be larger than the other, so don’t be shy about asking for both feet to be measured. If you’re a runner, knowing your arch type and your running style are crucial. Pronation is a fact of life, and your specific foot mechanics will lead you to the right shoe. 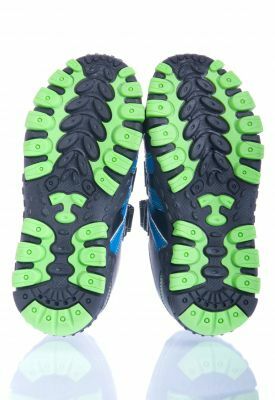 If you are a trail runner, purchase shoes built for rugged terrain. However, if you stick to the streets, you’ll need less sole and more flexibility as you pound the pavement. If foot pain is keeping you off of your feet, it’s time to find a solution. Schedule an appointment today with Dr. Craig H. Thomajan DPM, FACFAS or Dr. Shine John DPM, FACFAS, and learn more about how to keep your feet healthy while you exercise. Call (512) 328-8900, or schedule online.